Whether your furnace stops running or your air conditioning system needs to be upgraded, count on Shackelford Heating & Cooling to provide you with the service and equipment you need to be comfortable again. There are many times when your heating & air conditioning problems don’t occur during regular business hours. When you rely on Shackelford Heating & Cooling in Madison, WI, you can sit back and relax! 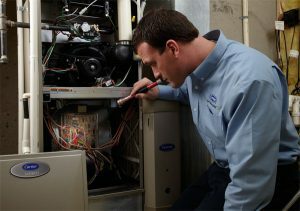 Our qualified professional experts are here to service your heating & cooling needs 24 hours a day!